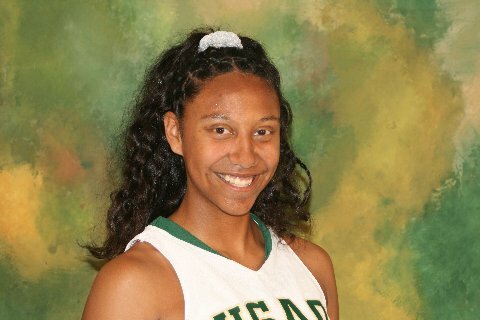 Tashina Ototivo, a two-sport student at the University Of Science And Arts Of Oklahoma (or “USAO”) has been awarded the Bill and Pat Smith Scholar-Athlete Scholarship (or “BAPSSAS”). That scholarship is awarded for both the recipient’s academics as well as their athletic performance. It’s difficult to think of a more deserving candidate since this sophomore is basically the definition of a student athlete. Unlike another well-known sports figure whose initials are T.O. Tashina is the ideal role model for young women and men everywhere and is pretty much a paragon-at-large on the USAO campus. As well as playing for the USAO Drovers basketball and softball teams, she was President of her freshman class last year and has a 3.74 grade-point average. This music major from Walters, OK probably also knows how to deal with the Gulf oil leak, too, if only someone would ask her. Ototivo was nominated by three faculty members including her basketball coach, Laci Tompkins. Ototivo further stated that the scholarship has only encouraged her to work harder and keep her grades up. The scholarship is traditionally given to one sophomore or junior student athlete who best reflects USAO’s creed: Physical, Spiritual, Mental, Social. After Tashina was chosen, long-time Drover supporter Bill Smith offered a matching scholarship. The University’s committee will choose a male recipient next week. Good day very cool blog!! Guy .. Excellent .. Amazing .. I’ll bookmark your web site and take the feeds also…I am satisfied to find so many useful information here in the submit, we need work out more techniques in this regard, thanks for sharing. . . . . . Seems like a very good college. My spouse and I stumbled here by a different website and thought I might as well check things out. I like what I see so now i am following you. Look forward to going over your web page repeatedly. I would like to thank you for the efforts you’ve put in writing this website. I am hoping the same high-grade blog post from you in the upcoming also. In fact your creative writing skills has inspired me to get my own website now. Actually the blogging is spreading its wings rapidly. Your write up is a great example of it.